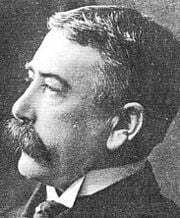 Ferdinand de Saussure (pronounced [fɛr.di.nã.dɘ.so.ˈsyr]) (November 26, 1857 – February 22, 1913) was a Swiss linguist whose ideas laid the foundation for many of the significant developments in linguistics in the twentieth century. He is widely considered the "father" of twentieth-century linguistics, and his work laid the foundation for the approach known as structuralism in the broader field of the social sciences. Although his work established the essential framework of future studies, his ideas contained many limitations and fundamental weaknesses as later scholars recognized that underlying structure and rules, while informative, cannot be the sole determinant of meaning and value in any social system. Born in Geneva, Switzerland in 1857, Ferdinand de Saussure was interested in languages early in his life. By age 15, he had learned Greek, French, German, English, and Latin, and at that age he also wrote an essay on languages. Coming from a family of scientists, he began his education at the University of Geneva studying the natural sciences. He was there a year, and then convinced his parents to allow him to go to Leipzig in 1876 to study linguistics. Two years later at the age of 21, Saussure studied for a year in Berlin, where he wrote his only full-length work titled Mémoire sur le système primitif des voyelles dans les langues indo-européenes. He returned to Leipzig and was awarded his doctorate in 1880. Soon afterwards he relocated to Paris, where he would lecture on ancient and modern languages for eleven years before returning to Geneva in 1891. Living in Geneva, teaching Sanskrit and historical linguistics, he married there and had two sons. Saussure continued to lecture at the university for the remainder of his life. However, it was not until 1906 that Saussure began teaching the course of "General Linguistics" that would consume the greater part of his attention until his death in 1913. While a student, Saussure published an important work in Indo-European philology that proposed the existence of a class of sounds in Proto-Indo-European called laryngeals, outlining what is now known as the "laryngeal theory." It has been argued that the problem he encountered, namely trying to explain how he was able to make systematic and predictive hypotheses from known linguistic data to unknown linguistic data, stimulated him to develop structuralism. Saussure's most influential work, the Cours de linguistique générale (Course of General Linguistics), was published posthumously in 1916 by former students Charles Bally and Albert Sechehaye on the basis of notes taken from Saussure's lectures at the University of Geneva. The Cours became one of the seminal linguistics works of the twentieth century, not primarily for the content (many of the ideas had been anticipated in the works of other nineteenth-century linguists), but rather for the innovative approach that Saussure applied in discussing linguistic phenomena. Saussure made what became a famous distinction between langue (language) and parole (speech). Language, for Saussure, is the symbolic system through which we communicate. Speech refers to actual utterances. Since we can communicate an infinite number of utterances, it is the system behind them that is important. In separating language from speaking, we are at the same time separating: (1) what is social from what is individual; and (2) what is essential from what is accessory and more or less accidental. Saussure illustrated this with reference to a chess game. The chess game has its rules and its pieces and its board. These define the game, which can then be played in an effectively limitless number of ways by an infinite number of pairs of players. Any particular game of chess is of interest only to the participants. Thus in linguistics, while we may collect our data from actual instances of speech, the goal is to work back to the system of rules and words that organize the speech. The most revolutionary element in Saussure's work is his insistence that languages do not produce different versions of the same reality, they in effect produce different realities. That different languages conceptualize the world in significantly different ways is demonstrated by the fact that even such "physical" or "natural" phenomena as colors are not the same in different languages. Russian does not have a term for blue. The words poluboi and sinij, which are usually translated as "light blue" and "dark blue," refer to what are in Russian distinct colors, not different shades of the same color. The English word "brown" has no equivalent in French. It is translated into brun, marron, or even jeune depending on the context. In Welsh, the color glas, though often translated as "blue," contains elements that English would identify as "green" or "grey." Because the boundaries are placed differently in the two languages the Welsh equivalent of the English "grey" might be glas or llwyd. In Saussure’s theory, language is mostly the means of social communication with the help of “signs,” where the linguistic sign—a word—makes and defines the relationship between the acoustic image of the set of sounds or “signifier” (for instance: f, a, m, i, l, y ) and the actual image (or “signified”) of a “family” in our consciousness. This relationship, the bond between the signifier and signified, is both arbitrary and necessary. The principle of arbitrariness dominates all ideas about the structure of language. It makes it possible to separate the signifier and signified, or to change the relationship between them. The set of acoustic sounds, i.e. “signifier” (f, a, m, i, l, y), evokes just the image of the object, “family” (always, necessarily and also, strictly). In Saussure's linguistics, there is no place for any socially charged nuance or sensual addition that the word “family” might otherwise evoke. This strictly one-to-one correspondence, therefore, often came under criticism by literary or comparative linguists such as Vaclav while working with the concepts of aesthetics. Some people regard language…as a naming process only…. This conception is open to criticism on several points. It assumes that ready-made ideas exist before words…finally, it lets us assume that the linking of a name and a thing is a very simple operation… (p. 65). Without language thought is a vague, uncharted nebula. There are no pre-existing ideas, and nothing is distinct before the appearance of language… (p. 112). Linguistics then works in the borderland where the elements of sound and thought combine; their combination produces a form, not a substance…. The arbitrary nature of the sign explains why the social fact alone can create a linguistic system. The community is necessary if values that owe their existence solely to usage and general acceptance are to be set up; by himself, the individual is incapable of fixing a single value… (p. 113). The term "arbitrary" should not imply that the choice of the signifier is left entirely to the speaker…; I mean that it is unmotivated, i.e. arbitrary in that it actually has no natural connection with the signified… (p. 68–69). Saussure's use of the word "contract" (on page 14) refers to Rousseau's discussion of the social contract as the basis of sociability (along with its implicit critique of theories of legitimacy purely based on raw power). His use of the term, “arbitrariness” (pp. 68–69, 113), runs counter to that of others (such as Malinowski; see Varenne 1997), who were developing an alternate theory of meaning in parallel to Saussure's, and is understood as saying that no investigation of the "context" of an utterance can establish the "meaning" of a sign, that is its peculiar power as historical product constraining the future. It is "arbitrary," dependent on an implicit (though not always) agreement that this sign is to do anything in particular. The quote from page 113 contrasts with George Herbert Mead's insistence that the conversation of gestures precedes symbolic meaning (see Varenne 1997). And yet they both emphasize the "social." It could also be argued that language usage is not (even in Saussure) a simple effect of la langue: the system is not changed by the individual usage as such, but through the community, which the language as an institution helps to form. However, this concept of social praxis, which becomes crucial if one wants to understand the proper establishment and change of the language system, is missing in Saussure. Social praxis is a part of the larger reality that language is embedded in, but which structuralism seldom deals with in its methodological closure around the always already existing structure. Some critics (see Bouissac 2003), perhaps without sufficiently detailed study of Saussure’s work, added a new dimension to the debate, further reinforcing the stereotype of a Saussurian doctrine which they contended had overlooked the social, processual, transformational, and fundamentally temporal nature of languages and cultures. Thus, in their eyes, Saussure's approach appeared to study the system only "synchronically," as if it was frozen in time (like a photograph), rather than also "diachronically," in terms of its evolution over time (like a film). The impact of Saussure's ideas on the development of linguistic theory in the first half of the twentieth century cannot be understated. Two currents of thought emerged independently of each other, one in Europe, and the other in America. The results of each incorporated the basic notions of Saussurian thought in forming the central tenets of structural linguistics. In Europe, the Prague School with Vilem Mathesius, Sergei Karczewski, and Roman Jakobson was dominant. Jakobson then transferred the school’s efforts to the United States. Elsewhere, Louis Hjelmslev and the Copenhagen School proposed new interpretations of linguistics from structuralist theoretical frameworks. In America, Saussure's ideas informed the "distributionalism" of Leonard Bloomfield and post-Bloomfieldian structuralism. In contemporary developments, structuralism has been most explicitly developed by Michael Silverstein. Outside linguistics, the principles and methods employed by structuralism were soon adopted by scholars and literary critics, such as Roland Barthes, Jacques Lacan, and Claude Lévi-Strauss, and implemented in their respective areas of study. However, their expansive interpretations of Saussure's theories, and their application of those theories to non-linguistic fields of study, led to theoretical difficulties and proclamations of the end of structuralism in those disciplines. This alone clearly underscores the fact that Saussure was no philosopher, only a ground-breaking theoretical linguist whose ideas could be summed up in a few words. The differences we readily experience as independent of language are in fact constructed by it. This does not mean that language creates "actuality" (that is, trees, rocks, buildings, and people) but that language turns undifferentiated, meaningless nature into a differentiated, meaningful, cultural reality. The most significant feature of Saussure's work is the argument that language precedes experience. We have no direct access to the world; our relationship to it is always mediated by, and dependent on, language. Thus, his position emphasized the role of language to the expense of all other human faculties, individual and social, and did not address the origin of the meanings and cultural values that are communicated through the medium of language. Nevertheless, Saussure's work formed the foundation upon which the field could develop. Bouissac, P. 1976. Circus and Culture. Indiana University Press, Bloomington. Bouissac, P. 2003. Perspectives on Saussure. University of Toronto. Cerny, V. 1982. "Memoirs (Pameti in Czech original)" in Sixty-Eight Publishers Corp. Toronto, pp. 308–311, 448. Varenne, Hervé. 1997. Quotes from Saussure's Course in General Linguistic. History of "Ferdinand de Saussure"
This page was last modified on 19 July 2016, at 18:53.